Thomas is a writer specializing in photography related instructional books as well as travel writing. His recent book "Mastering Aperture" has consistently garnered 5 star reviews on Amazon. Thomas is also a Lightroom, Photoshop and Aperture expert and his photography websites regularly attracts thousands of readers from around the world. Thomas is available for long form or short form writing, including technical articles, books or tutorials. To enquire about writing or publishing opportunities email Thomas at info@tfitzgerald with the subject "writing enquiry"
A series of guides with tips and tutorials on how to process Fuji X-Trnas images in various different Raw conversion Applications. Available now as a series of E-books from my Digital Download store. As with all of Apple’s pro grade software, Aperture’s easy to use interface is built upon an abundance of complex and powerful features. 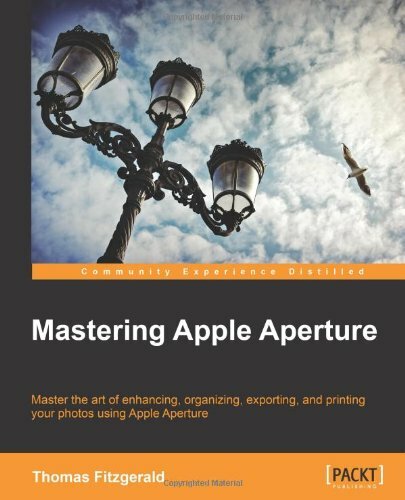 The new book Mastering Apple Aperture by Thomas Fitzgerald has great insight into many of these hidden elements which can take your imaging workflow to the next level, although he does leave a few stones unturned. A Photographic journey through the wonderful city of Vienna, in Austria. Discover the beautiful sights and architecture of this most magnificent city.